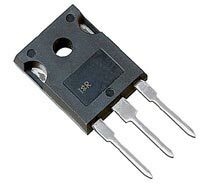 The 40CPQ060 center tap Schottky rectifier has been optimized for very low forward voltage drop, with moderate leakage. The proprietary barrier technology allows for reliable operation up to 150�C junction temperature. Typical applications are in switching power supplies, converters, free-wheeling diodes, and reverse battery protection.